Can a high fibre diet REALLY help prevent Type 2 Diabetes? I’ve read 3 separate reports today of new research into the effects of a high fibre diet on the likelihood of developing Type 2 Diabetes. 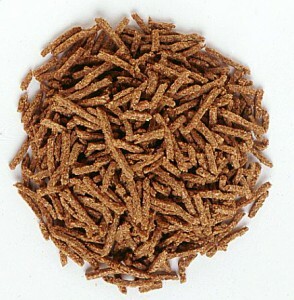 Without exception the three reports all claim that the research has shown that high fibre can prevent Type 2 Diabetes. Yet dig a small way beneath the headlines and it’s clear that’s not quite what the research actually found. The reality of these findings is that some types of fibre – but not all – MAY help people to lose weight, and weight loss in turn MAY help prevent a person developing Type 2 Diabetes. It’s a tentative link and no certain cause and effect has been established. It certainly has not been established that high fibre has any direct impact on your likelihood of developing Type 2 Diabetes, though I can imagine many breakfast cereal manufacturers would very much like you to think this! I have absolutely nothing against appropriate amounts of fibre in anyone’s diet, but I am left wondering why the findings of this particular study are being apparently overblown. Is this really about vested interests in selling us more high fibre cereal, as a backlash against the recent vilification of the role of carbohydrates in the burgeoning so-called diabetes epidemic? I’m sure time will tell! This entry was written by rebalancediabetes, posted on May 28, 2015 at 4:23 pm, filed under Uncategorized. Bookmark the permalink. Follow any comments here with the RSS feed for this post. Post a comment or leave a trackback: Trackback URL.